Ending a 4-year ban, Google Play Store will finally host real money gambling apps in select locations. Since 2013, Android users have been unable to access real money gambling apps in the Google Play Store. It was the result of an enforced policy by Google, which decided the real money gambling market was a bit too risky. According to recent reports, Google is overturning that decision. With millions of users accessing its Play Store every day—many of them in search of real money gambling apps—the California-based company has decided it’s a risk worth embracing. Only certain “gambling ads” are permitted, and only if they met some strict requirements. They had to be legal in the local area, displayed only to users 18+, and promote responsible gambling on its landing page. The advertisement rules aren’t expected to change, but the types of apps available for download certainly will. According to Google, real money gambling apps could appear on the Play Store as early as August 2017. The company isn’t just reversing its policy on gambling apps. It’s actively promoting their upcoming inclusion on the Google Play Store. A missive was recently delivered to a multitude of the biggest app development companies and mobile casino operators, informing them of the pending policy changes. However, real money gambling apps will only be available in select locations, including the France, Ireland, and the United Kingdom. The Google Play Store will only approve apps from casinos licensed to operate, and accept players, in those jurisdictions. Before a mobile casino app appears on Google Play France, Google Play Ireland or Google Play UK, it must first undergo inspection by the Android app center. The submission must be accompanied by documentation that proves current licensure in all eligible jurisdictions in which players will be targeted. There is no shortage of Android-compatible real money gambling apps on the world wide web today. The vast majority of online casino operators provide Android apps for their customers. However, players have had to navigate a casino’s website and download the app directly. This has largely limited their player base to existing players. This will be the first time in several years that players have been able to seek out gambling apps online via their local Google Play Store. Operators are surely anticipating a surge in new player activity as the games’ developers gain access to a new and immensely popular channel for delivering their content. It shouldn’t take long for real money gambling apps to appear in droves once Google gives the green light. With all major operators having Android apps at the ready, all that’s left is to wait for the flood gates to open. The wait is finally over. Rival Powered casinos were updated today with the release of Ten Suns, a new slots game themed around Chinese folklore. The game tells the tale of Hou Yi, The Divine Archer, whose enchanted arrows were able to obliterate Nine of the Ten Suns scorching the planet. As the story goes, the Emperor and Moon Goddess, who asked Hou Yi to perform this unimaginable task, looked on as the nine suns were shot down. One by one, each sun burst with a brilliant light, then magically transformed into a legendary Phoenix before flying off into the now lone sunset. While I generally groan at the adaptation of yet another oriental themed slot machine, I have to admit, I really enjoyed the mythological folklore behind this new slots game. Rival Powered did a great job integrating razor-shard graphics and animations to accurately relay this epic tale. 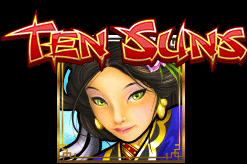 Ten Suns is a 5 reel, 25 payline slot machine design in HTML5 for optimized compatibility with all major operating system, including PC, Mac and Linux/Ubuntu desktops, as well as Android, iOS and Windows mobile devices and tablets. The dominantly red and gold motif is highlighted by a plethora of symbols, all relating to the ancient Chinese legend. These include the Divine Archer, the Emperor, the Moon Goddess, the Phoenix, golden frogs, dragons, lotus flowers, treasure chests, lanterns, gold coins and more. Following Chinese tradition, the golden frogs are some of the luckiest symbols in the game, awarding 1,000 coins for 5 on a line. The Divine Archer is the wild, the Dragon is a Scatter, and Treasure Chests are a scatter-style Bonus symbol. Expanding Wilds: The Divine Archer follows the basic rules of wilds, taking the place of any other standard symbol needed to create the highest possible winning combination. He only appears on reels 2, 3 and 4. However, being a heavenly powered archer, he also has the ability to shoot arrows onto the reels whenever he substitutes for a win, randomly turning other symbols into wilds. Scatter Free Spins: To unleash the free spins feature in this new slots game, players will need to see 3, 4 or 5 Dragons on the reels, awarding 5, 7 or 10 free games respectively. To make free spins more profitable, the five lowest paying symbols are all removed from the reels during this time. Furthermore, free spins include a ‘Drop Icons‘ feature, which works like cascading reels. Anytime a winning combination occurs, the symbols involved in it will drop out of play and new symbols will fall into place, potentially creating more wins. The Drop Icon feature continues to drop symbols off the reels until no win is recorded. Treasure Chest Bonus: This bonus game is triggered whenever 3 or more treasure chests appear anywhere on the reels. If a wild appears and expands, turning a treasure chest wild, the chest will still count towards activating the bonus round. This is a Pick Me Bonus game, where the player is shown a series of treasure chest to choose from. The prizes within are instantly credited. As promised by its creator, the new slots game Ten Suns arrives at Rival Powered casinos today, March 29, 2017. 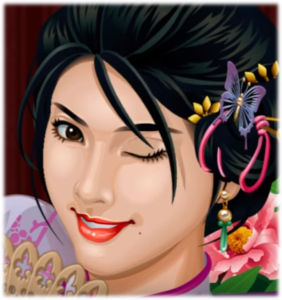 More Oriental-themed Real Money Slots – thanks Microgaming! 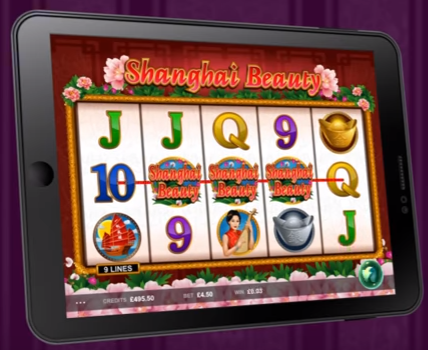 Android Apps, Blog, Casino Games, Devices, iPad, iPhone, Mac and PC, Samsung Smartphones, Samsung Tablet Comments Off on More Oriental-themed Real Money Slots – thanks Microgaming! As always, Microgaming is delivering new internet slots this month to all of its licensed operators. 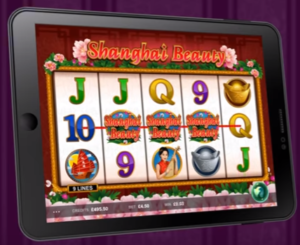 The latest addition is called Shanghai Beauty, introduced in October 2016, and the name alone tells us they’ve added yet another Oriental-themed game to the constantly growing line-up of real money slots. I’m all for playing new titles, and always look forward to the start of each new month because I know Microgaming will deliver a few new games. But I was ultimately disappointed to see one of the most overused themes slapped atop the same old cookie-cutter slots set-up, yet again. That’s not to say the game itself isn’t a good one, just blatantly repetitive. And of course, they didn’t get too imaginative with the symbols either, filling half the reels with generic playing card symbols of 9, 10, J, Q, K and A. Now that I’ve gotten my rant out, let’s look a bit deeper at what else these real money slots have to offer in the way of features. The new internet slots employ Microgaming’s typical 243 Ways to Win interfaces on a 5×3 reel set. The background music is fairly enjoyable – not too rambunctious, or slow enough to put you to sleep. It’s also multi-system compatible, so players can access the new game via desktop, mobile and tablet. It’s even available in ‘Portrait Mode‘ for smartphones (i.e. turn the phone to rotate the screen). Shanghai Beauty follows the oriental theme well enough, filling the reels with images like the Geisha, Junk (oriental ship), Woman playing a Pipa (Chinese lute), Gold Bowls and Silver Bowls, along with Wilds (Shanghai Beauty Logo) and Scatters (Jade Box). In the base game, things are fairly standard, except that Wilds pay 2x on all wins in which they are involved. Otherwise, because there are no actual paylines, all wins are paid as a derivative of the total bet placed, divided by all possible ways to win. The game’s most notable feature is free spins, which are triggered by landing 3, 4 or 5 Jade Box scatters anywhere on the reels during a single play. This automatically triggers 15 free spins, regardless of the number of scatters that appeared (i.e. 4 or 5 won’t deliver more free spins). However, the player will receive Scatter pays, which do give nice payouts on their own (2 scatters = 18 credits, 3 = 45, 4 = 180, 5 = 4,500). While the free spins are active, all winning combinations will pay at a 3x multiplier rate, based on the stake that triggered them. Free spins can also be retriggered at this time by landing 3 or more scatters during free spins. 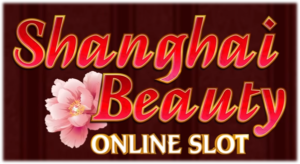 Shanghai Beauty Slots Worth A Spin? Not only did Microgaming’s latest internet slots fail to pique my interest in terms of thematic overlay, it doesn’t seem to bring anything interesting or innovative to the table either. There are no special bonus features outside of free spins, and no exceptional graphics or animations to draw players in. If you’re a big fan of Oriental themes, you may want to give it a go, just to see if you like it better than the dozens of other similar games out there. Otherwise, give it a pass. You can find lots of more interesting real money slots at Royal Vegas, or any other Microgaming powered online casino. One of the many positive effects that smartphones had on our lives is giving us the chance to shop, play and gamble on the move. We no longer need to make a night out of it, hooked up to our laptops or desktops and tuned into our favorite online casino. These days we can gamble on the train, at the office (providing the boss doesn’t see) or anywhere else you want. In this article we’ll focus on Samsung mobile devices, and on real money gambling casinos, as opposed to the many free casino apps and games you will find in the Google play Store, offering all of the visual experience of an online casino, and none of the excitement, the highs and lows, and the jackpots that make online gambling so addictive. At the dawn of the smartphone age Apple pretty much stood on their own. They were untouchable, the iPhone was the definition of a smartphone, it wasn’t just the best but it was one of the only ones available. This aspirational device caused a storm in the technology world and it led to the consumer addiction that all companies covet and that Apple currently has. This was the phone that changed technology, the phone that relaunched the Apple name into a worldwide brand with a turnover equal to a developed country’s GDP. That dominance wasn’t to last though and Samsung eventually spoilt Apple’s party, creating their own range of phones and splitting the smartphone market in two. These days there are many more providers, but it is Samsung and Apple that lead the way, with some countries selling more Apple phones than Samsungs, and others selling more Samsungs than Apples. These phones couldn’t be more different. One is made of metal, the other is plastic; one uses iOS, the other Android; one uses Google Play Store, the other Apple App Store. But despite that, these phones both offer consumers a great deal, and their position at the head of the market is warranted in both cases. For us, the Samsung is a great phone when it comes to gambling. 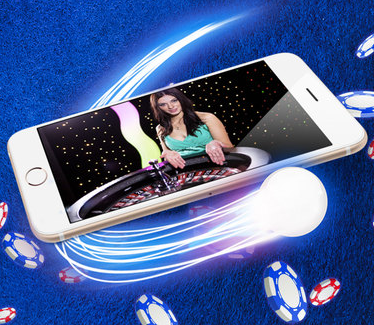 The Apple phones are no different and we love them just as much, but we tend to change our preferences for online casinos depending on which device we are using. With that in mind, and taking into account the many online casinos that we have played on, just which is our favorite and most recommended online casino for playing on Samsung mobiles? There is only one choice for us here, but luckily that one becomes three. Fortune Lounge Group are a casino collective, applying a badge of trust and security to the online casino industry, allowing only the best of the best to join its ranks, and offering a multitude of extras to all of the casinos, and in turn their members, that sign up. The three main casinos that attracted us to Fortune Lounge, and the ones that will stand out on this list, are Royal Vegas Casino, Platinum Play and Euro Palace. All are part of Fortune Lounge, all use Microgaming (full of slots and table games) and members can join up to each one of them. Why join up to three different casinos you might ask, well the truth is simple, but also a little cheeky. As everyone who has ever bet with an online casino, poker room or sports book, all of these sites giveaway free cash to all new members. This often comes in the form of a 100% matched deposit bonus, where a deposit of $100, for instance, will be turned into $200 worth of credits to play with. These three sites are no different and they offer three of the biggest promotions we have ever seen. Once you play one and use up all of the free cash, then there’s nothing stopping you from moving to the second and repeating the process, if you get lucky then you could even use your winnings from site one, to deposit with on site 2 and 3. There is an incentive to stay on these sites, and that is the royalty schemes offered by each of them, and by Fortune Lounge Group as as well. This royalty scheme is huge, especially if you’re a high roller, so once you use all of the sites, make sure you pick the one you liked the most and then stick with it. You’ll be rewarded if you do. As for the Samsung mobile compatibility, all of these casinos have apps that can be downloaded onto your Samsung device from the Google Play Store. From here you can do everything that you can typically do on the main site, and you can also play the slot tournaments and more offered by the Fortune Lounge Group. If you have a Samsung mobile and you want to get the most from your online casino, then you need to check out these three stars of the online poker world.